Category Archives: "Blog and News"
We all know that bulk buying is increasingly becoming the norm and with the tightening of disposable income and increasing ease of access to bulk buy products, its likely to occur in all areas of our life. And dealing with your wholesale meat suppliers are no different. If you’ve got the space in your freezer for all of that meat you may as well buy it right? WRONG! 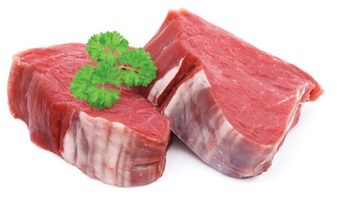 At Cheshire Food Services, we have noticed a real shift in consumer buying, considerably on the meat side. 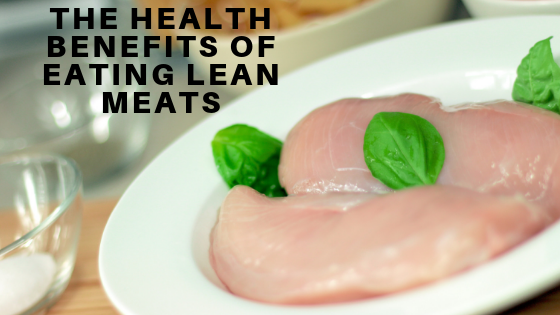 Therefore we have devised a 5 tips to remember when your shopping next time for your meat! We have all heard the phrase before, price is price but quality is quality. You go to the store you see some beautiful Sirloin Steaks or Leg of Lamb for half the price and you instantly buy. Stop for a second and think! Your ‘amazing’ Wholesale Meat Suppliers margin needs to be included in that amazing price right? So if you minus one from the other, do you think that a high quality cut of meat could be purchased for that? Remember high quality comes at a price! Quality assurance of food is a key trend in the UK at this moment and the Government have made it their pledge to ensure that food in UK receives the harshest quality control checks possible. But how can I be certain the Government have taken initiative on your online wholesale meat suppliers product range? And there are so many accreditations for meat, how can I be sure this standard is high enough. One answer… look for an EC approval label like the one shown above! Wholesale meat suppliers who own their own EC approved premises have been accredited by the Food Standards Agency as a safe, hygienic and strict quality control managed establishment, everything you need. As well as quality, meat traceability is an extremely hot topic in the meat industry at this moment in time. Traceability, referring to the the ability to trace a finished product right back through the supply chain to production, is an area that a lot of Wholesale Meat Suppliers, particularly those based online, lack greatly in information. Before you purchase from wholesale meat suppliers, make sure you quiz them about their traceability policy! There is nothing worse than buying from Wholesale Meat Suppliers who claims to be of top quality but isn’t. But how can you really tell? Easy! Check their website, phone them up and test their customer services and finally make a small test order. Remember a company is top quality throughout, it’s quality doesn’t stop at the meat. So it should be reflected in its staff, its packaging as well as throughout the company. Finally when considering using online wholesale meat suppliers, check out the key benefits that they are offering you as a consumer? Do they deliver right to the door? Do they offer next day delivery? Any offer on first purchases? Remember they need trade from you so use your power as a customer and push. 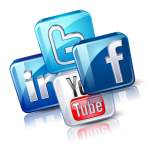 Here at Cheshire Food Services we have finally found Social Media… and if we’re honest we’re loving it! In fact we are loving it so much that we are on nearly everything. Here is a low down on what to expect on our feeds in the very near future! Come Read, Learn & Chat! The Official Cheshire Food Services Twitter Feed can be found at @CheshireFoods (A little sad we couldn’t get our whole name). When you get following us you’ll find our feed full of the latest news of what Cheshire Food Services are up to, offer guidance into how and why to use our products and even schedule a monthly chat evening.. just in case you have any questions about our brand. More info coming soon! If your the sort of person that likes getting access to a good old voucher and seasonal promotions, then get yourself to our Official Facebook Page. We only give offers to our community of followers, so ensure you like our page to be in with a chance of getting them! Finally, for Businesses who are eager to learn more about Cheshire Food Services and what we can do for you, get down to our Official LinkedIn Page where we are eager to build relationships. In the coming weeks we hope to meet new faces, reveal who we are and even create some of our own industry groups! Watch this (or this) space! So are you following yet? There’s nothing worse than buying a product or service from a Business that has no knowledge, no purpose or no passion in what they do! 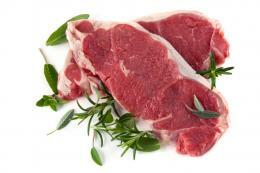 Here at Cheshire Food Services it is clear what we are all about… Meat! For the last decade, this company has spent time and effort researching exactly what it is our customers want and today, the Cheshire Food Services Brand is synonymous with Quality and Customer Service excellence. Every Business has a job…. to market themselves in the best way possible. But at Cheshire Food Services, were just as no-nonsense as our products are. In fact, we are so over the top about keeping maximum control over quality…. that we bought our very own factory in the heart of Trafford. At Cheshire Food Services we promise to deliver only the best! To ensure only the highest Quality, we prepare all of our meats from our very own EC Approved premises, ensuring all products reach you in the freshest and safest way. We also only use the Highest Skilled Butchers, trained to deliver all orders exactly to your required specifications. Cheshire Food Services cares about your Business so much that from now, all orders made before 2pm will arrive the next day straight to your door. Our range of products are so diverse at Cheshire Food Services, that were sure we’ll have exactly what your looking for. Our 190 different cuts and varsities Beef, Chicken, Liver, Pork, Veal, Turkey Duck and Seafood are certain to keep you coming back! As one of the most competitive prices in the industry, it is always worth contacting Cheshire Food Services for a quote.